If you’re experiencing a dental emergency, you can trust experienced dentists Dr. Rupporn Priyawat and Dr. Maria Kim to take care of it. They’re available night and day so that when your emergency arises, they’re ready to restore your smile. If you have a dental emergency or want a regular checkup, call Omnia Dental Care in Chino Hills, California, to schedule an appointment. If you knock out one of your permanent teeth, hold onto that tooth and call Omnia Dental Care Immediately. The sooner you see Dr. Priyawat or Dr. Kim, the more likely they can successfully re-implant the tooth. What should I expect during emergency dental treatment? The treatment depends on how severely damaged your tooth is and what type of injury you have. If you’ve knocked out a tooth, it must be re-implanted within two hours otherwise it can die. 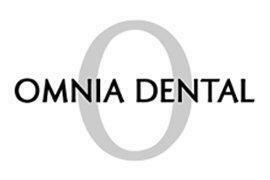 Call Omnia Dental Care right away to undergo emergency re-implantation. You should rinse the tooth with water, and place it back in its socket. If you can’t get it to stay in the socket, keep it moist inside your mouth or a container of milk until you get to Omnia Dental Care. If you’ve cracked a tooth, rinse your mouth with warm water and keep the affected area clean. Use a cold compress to reduce the swelling, and call Omnia Dental Care to schedule an emergency dental treatment. If you’ve injured your lip or tongue because you bit it severely, keep the area clean with warm water and use an ice pack to reduce the swelling. If it looks like you might need stitches, call Omnia Dental Care to schedule an emergency dental treatment. Severe toothaches may indicate a dental emergency. Rinse your mouth with warm water to clean the area, and call Omnia Dental Care to determine if you need a root canal or another procedure. You can’t always avoid dental trauma, which is why the experienced team of dentists at Omnia Dental Care is available to care for you during your emergency. Be sure to call and schedule an appointment right away to increase the chance of saving your injured tooth.